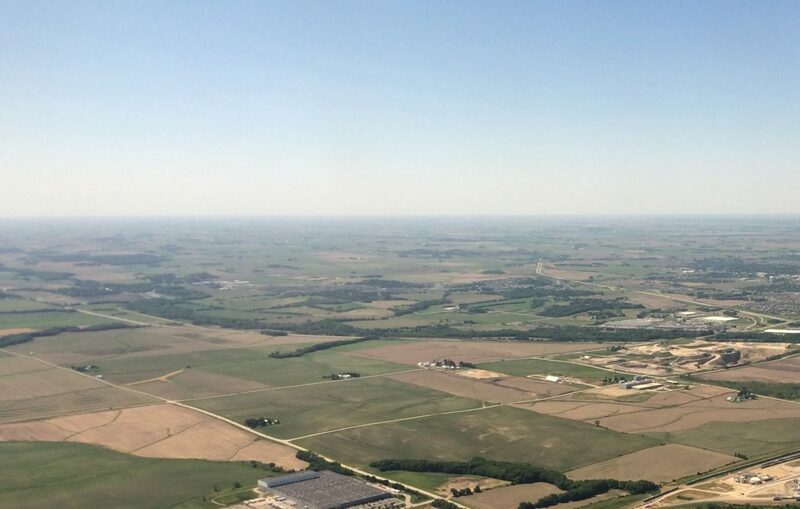 The Iowa countryside from the air in Linn County, Iowa, near Cedar Rapids, on June 6, 2017. I’m sure you have heard the old tale about Iowa’s bountiful cornfields — about closing your eyes in the summer, listening carefully at night and being able to hear the corn grow. If you open your eyes and look around carefully, I think you can see our state changing right in front of us. And I’m pretty certain we are not going to like where we end up. Through the years, Iowa has been the geographic and sociological equivalent of Baby Bear’s porridge. We have not been a state that is as well off economically as some states, but we have been better off than other states. Iowa has not been as extreme politically. We have not been as liberal as some states on the East and West coasts, nor as liberal as neighboring Illinois and Minnesota have been. On the other hand, we have not been as conservative as some places, such as states in the South or our neighbors in Missouri, Nebraska and Kansas. Instead, we have been parked somewhere in the middle. Like the Three Bears’ bowls of porridge, Iowa has been neither too hot, nor too cold. We have been just right, it would seem. These days, I am not sure that is still the case. And the implications for Iowa are worrisome. While Iowa never had soaring mountain vistas to lure visitors, to attract new residents and hold onto our existing residents, we have capitalized on what we did have. We made the most of our clean air, our low crime rate and the quality-of-life factors that are important when families look for a place to live, work and raise their children. For many years, an important asset that many other states looked at longingly in Iowa were our schools — our excellent K-12 districts, our top-quality state universities and our network of community colleges. Our ancestors made this commitment to education excellence, both philosophically and financially, because they understood providing the best education possible was the foundation for ensuring that their children and their children’s children would thrive. Savvy business leaders understood the importance of this, too. They knew those excellent schools, the state’s natural resources, the work ethic of Iowans, and Iowa’s reputation for sound, effective government all contributed to a business climate where companies could grow and thrive. But it certainly seems as if fundamental aspects of Iowa life are changing — and not necessarily for the better. Regardless of whether you are a Democrat, a Republican or an independent, most of us prefer a middle-of-the-road approach to government instead of having one party or the other trying to lead the state from the extremes. Back when Robert Ray was governor and when people like Robert Rigler of New Hampton and Arthur Neu of Carroll were leaders in the Legislature, our state’s political leaders worked to build consensus. They did not do that by working in secret. They did not bring controversial proposals to a vote with only perfunctory debate, with only a few days for public comment, and with little time for experts outside of government to analyze the implications of a bill. Iowa Statehouse on July 28, 2017. 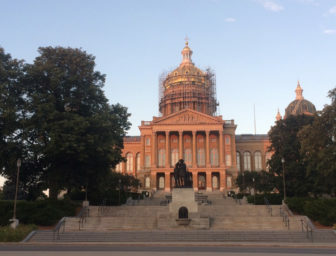 But last year, significant changes were made in a matter of days in Iowa’s decades-old system of collective bargaining by government employees — a system established two generations ago after careful consideration by lawmakers over a period of months, not days. Last week, plans for a big state income tax cut were hashed out behind closed doors. Then the package was pushed through the House and the Senate without the normal committee hearings or opportunity for the public to offer feedback. There was little time for Iowans to ask questions — to ask what the $2 billion reduction in state revenue over the next six years will mean for our public schools, for tuition at our state universities and community colleges, for the operation and maintenance of our state parks, for inspection and investigation of conditions in nursing homes, for law enforcement, and for health care for poor Iowans and the disabled. There was little time for Iowans to ask why lawmakers never studied the effectiveness and sustainability of the tax credits and other government incentives that go to some businesses but not others — creating a phenomenon known as picking winners and losers. With state university tuition already rising faster than the rate of inflation, there was little time for Iowans to ask how officials are not guaranteeing that Iowa’s “brain drain” will accelerate as new graduates leave for other states where incomes are higher. That is why it is disappointing we settle for this condensed approach to governing instead of having thoughtful discussion of the important issues that will shape the kind of state we will leave for the next generation of Iowans. It’s time we start thinking about this. 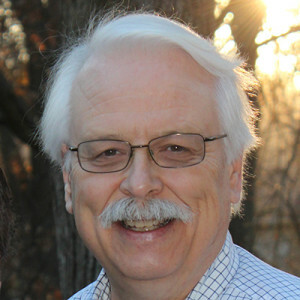 Eastern Iowans interested in politics are trying to have civil conversations about this issues dividing them. They’ve joined an nationwide movement called Better Angels, a bipartisan citizen’s effort to bring Republicans and Democrats together to talk to one another in a civil manner.